Home - What A Hoot! It's that time again! Our What a Hoot! Gala & Auction will be held October 13, 2018 at 1pm at the Coxsackie Yacht Club. 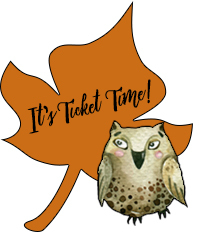 Tickets for the auction are available from Samantha at the West Coxsackie Branch of the National Bank of Coxsackie, from Dawn Marie Smith (find her around town or search her out on Facebook,) or you can mail your check for $25/ticket made out to the Village of Coxsackie-Owls, and send it to The Hoot of the Owl Committee, PO Box 148, Coxsackie NY 12051. The owls can be found in groups all around Coxsackie. Brochures can be found at many of our sponsors' businesses, and at the Village Offices. Enjoy your owl hunt, and be sure to put October 13th on your calendar for our 2018 Owl Auction, where all proceeds from our owl auction will go to various charities to benefit the community. SPACE IS LIMITED, so buy your tickets early! We also have a raffle owl this year! This is Sleepy Owl Sunset, by artist Teresa F. Gargano. We are selling tickets for $5 each, or 5 for $20. Use our Contact Us page to send us a message to purchase your raffle tickets today! You could own your own owl for as little as $5! Drawing will be held at the What a Hoot! Gala & Auction. You need not be present to win. View a 2017 sample voting ballot. 2018 Ballots will be available soon. View the 2017 Off Premises Bidding Form Below. Our 2018 Bidding Form will be available in August. The 2018 Gala & Auction will be held at the Coxsackie Yacht Club on October 13, 2018 at 1pm. Purchase tickets now! Limited seating available! What is What A Hoot!? What a Hoot! 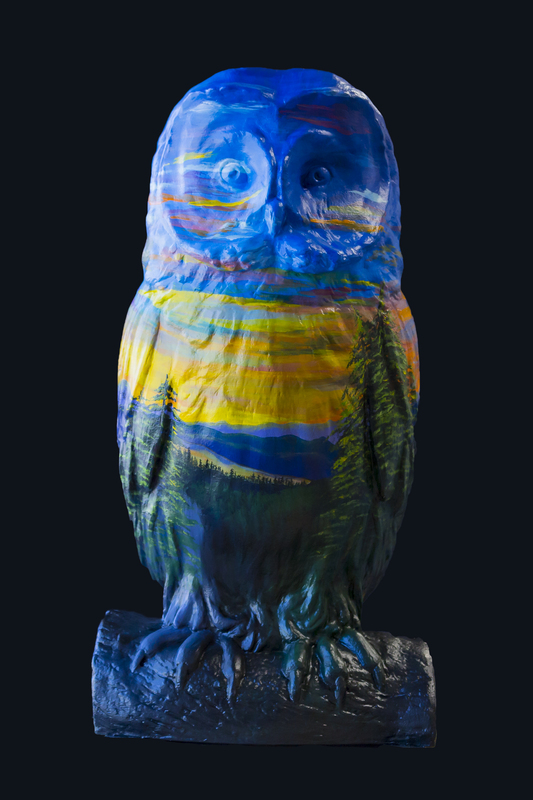 is a public art installation, sponsored by the Village of Coxsackie, and organized by the Hoot of the Owl Committee. Our goal is to raise money for various local charities. After the tremendous reception to our inaugural year, which also coincided with the Village of Coxsackie's 150th anniversary, the Hoot of the Owl Committee has taken the owl by the horns and done it again! There are 52 owls on display all over town, created by 43 local artists. You will also find a bear from Cairo and a cat from Catskill in the mix this year. You can find our traded owls in their respective towns as well. A trip to visit Coxsackie, Catskill and Cairo would be a great way to spend a day/weekend. Enjoy! The Hoot of the Owl Committee, chaired in 2017 by Joe Ellis, and sponsored by the Village of Coxsackie. Our 2018 chairperson is Ellen De Lucia. See the list of 2018 sponsors. See the list of 2018 artists or contact us to express interest in becoming one next year! It is believed that the word Coxsackie is a Native American word that translates to "hoot of the owl," and therefore, the owl is the symbol of the Village of Coxsackie. All individuals and businesses interested in being an owl sponsor must return packets and payment by November 15. The deadline for artists to submit an owl sketch with all accompanying paperwork. Sponsors will choose their owl/artists at this reception. Artists will be notified that they have been selected by a sponsor, and will pick up their owl to begin work. This is the firm deadline for artists to return their finished owls. They will then be sent for clear-coating. We hope to get all owls on their perches in time for the Memorial Day Weekend. The 2018 Owl Auction will be held at the Coxsackie Yacht Club at 1:30pm. More details to come! Our 2018 artists will hail from right here in Coxsackie, to neighboring towns in the Capital Region. It is time for potential artists to submit their sketches! The Hoot of the Owl Committee is inviting you to be part of the celebration, too. Won’t you please become a What a Hoot! Supporter? Your donation will help Coxsackie’s festival soar by providing much needed funding for promotion, thereby ensuring success. While promoting What a Hoot!, the committee will also give you and your business recognition through social media and extensive advertising. We do hope that you will join us. 2018 We're in the News! Cats and Owls and Bears Oh My!